Twenty-five years after being promulgated by St. John Paul ll, the Catechism of the Catholic Church (CCC) continues to shape the future of Catholicism and the catechesis of its faithful. Like a seismic wave, its ripple effect has already touched millions of lives — from people reading it directly, or from the countless homilies, articles, books, and minor catechisms it has inspired. As the Catechism turns 25 this year, let us look back to the origins of this definitive reference text summarizing Catholicism’s beliefs and values. In tracing the history of the Catechism, the Church owes a debt of gratitude to both John Paul II and Benedict XVI. The Catechism was born both from the Second Vatican Council’s mission for the Church and the vision of the 1985 Extraordinary Synod of Bishops. In 1985, Pope John Paul II called together the world’s bishops to celebrate the milestone of the 20th anniversary of Vatican II. Known as the Extraordinary Synod, the bishops’ central task was to examine how well the Church had implemented the teachings of the Second Vatican Council. In a prophetic moment, a call from the floor of the Synod asked for a new universal catechism to reach the younger generations — and generations to come. The bishops discerned that, as the world has become a “global village,” there was need for the faith of the Church to be proclaimed in a single universal volume. Not that there weren’t already catechisms available. But there had not been a universal catechism, or major catechism, in more than 400 years, since the Roman Catechism of 1566 following the Council of Trent. The final report from the Extraordinary Synod of 1985 not only called for a deeper reception of the themes of the Council, but suggested the formulation of an updated catechism as “a source of life” for the Church. St. John Paul II made the bishops’ request his own and set to work on something that had not been undertaken in four centuries. Historically speaking, a new catechism was a big deal for Catholics. It was a major undertaking, faithfully handing on the Deposit of Faith as received from the Apostles through the ages. It required a systematic overhaul of the Roman Catechism, while maintaining integrity of content. It also needed to incorporate the enormous wealth of two millennia of Christian experience — as well as new ecclesial documents such as those from Vatican II. The goal was to create a reliable norm — a universal resource for both clergy and laity alike — that made the teachings of the Catholic Church accessible for modern Catholics and future generations. What the bishops proposed in 1985 was truly historic. The Extraordinary Synod requested “that a catechism or compendium of all Catholic doctrine regarding both faith and morals be composed … [as] a point of reference for the catechisms or compendiums that are prepared in the various regions. The presentation … must be biblical and liturgical. It must be sound doctrine suited to the present life of Christians” (Fidei Depositum, introduction). This suggests the difference between a major catechism and a minor catechism. Some American Catholics growing up in the early- or mid-20th century may fondly remember the Baltimore Catechism — a compendium of memorized questions and answers that allowed one to learn the tenets of the faith by heart. The Baltimore Catechism is an example of a locally developed minor catechism drawn from the aforementioned Roman Catechism, which was a major, or universal, catechism. Recreating a universal catechism would be a monumental task. 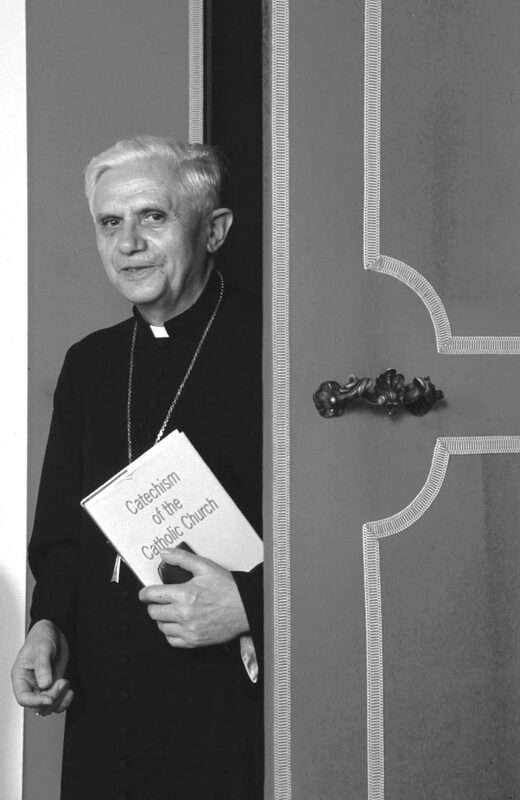 Enter Joseph Cardinal Ratzinger — the future Benedict XVI — with a distinguished profile as a professor of theology, prolific author, and bishop. Back in the 1960s, he was an impressive young theologian present at Vatican II. In 1981 John Paul II appointed him to serve as the prefect (or chief magistrate) of the Congregation for the Doctrine of the Faith. This important office of the Roman Curia promotes and safeguards the Church’s doctrine on faith and morals. 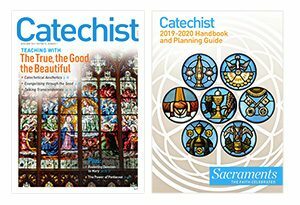 The Catechism’s final version was approved and published in 1992, complete with more than 24,000 revisions — an extensive collaboration! John Paul II declared that the harmony of so many voices expressed the “symphony” of the faith (Fidei Depositum, 1). Of the Catechism, one might say that if John Paul II was the maestro conducting the symphony, Joseph Ratzinger was the concertmaster who kept the whole orchestra in tune. As a reference work, the Catechism is a masterpiece: two millennia of the Church’s reflections on Scripture and Tradition distilled into a single 900-page reference volume. From its release in 1992 until now, it has become an international bestseller, translated into more than 50 languages. Today it is the standard for catechetical teaching around the globe. These days, the Catechism’s text is found both in print and online. Anyone with an Internet connection can read it. This is a good thing, given that the search for God, truth, and the meaning of life increasingly happens via Google. Church history has shown that great renewal has always been accompanied by powerful catechesis. The Catechism is a profound tool for this. May we come to know, cherish, and share its riches. Pat Gohn, MA, is editor of Catechist, and also writes “From the Catechism,” a regular column in Catholic Digest. Her newest book is All In: Why Belonging to the Catholic Church Matters. February 10, 1998: Card. Joseph RATZINGER, Prefect of the Congregation for the Doctrine of the Faith, Rome, Vatican. Part One (beliefs or creed) represents 39 percent of the content. See paragraphs 1-1065. Part Two (sacraments) makes up 23 percent. See paragraphs 1066-1690. Part Three (the Christian life) equals 27 percent. See paragraphs 1691-2557. Part Four (prayer) constitutes the remaining 11 percent. See paragraphs 2558-2865. The doctrinal portion of the Catechism covers about 700 pages, depending on font size of the version you read. 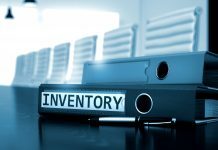 Its multiple indices and glossary take up 100-200 pages. The most-quoted source is Scripture. In fact, 40 out of 46 books of the Old Testament are cited and all 27 books of the New Testament are quoted. It is wonderful to discover the biblical underpinnings of Catholic doctrines. I recommend having the Bible nearby when reading the Catechism. The Documents of Vatican II are the second most-quoted source. Sixteen other ecumenical councils from history are also quoted. Saints: Hundreds of quotes from more than 50 saints, Church Fathers, and Doctors. (By the way, six are women: St. Thérèse of Lisieux, St. Teresa of Avila, St. Rose of Lima, St. Joan of Arc, St. Catherine of Siena, St. Elizabeth of the Trinity, and Bl. Julian of Norwich.) The most quoted saint in the Catechism is St. Augustine with 87 citations, followed by St. Thomas Aquinas with 61.